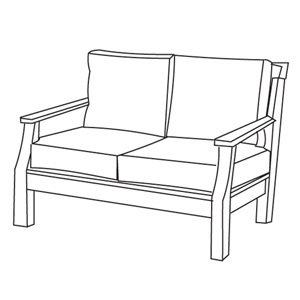 Loveseat - 2 seats, 2 backs - fill: Foam and Poly - With self welt. Contrasting welt available for an upcharge. Must call for contrasting welt ordering assistance.